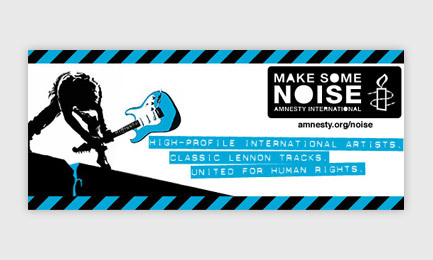 'Make Some Noise' was a global campaign launched by Amnesty International in order to raise awareness of the issues they are tackling through popular music. Key to the campaign was a multi-language website alongside email newsletters, e-cards and animated flash banner campaigns. 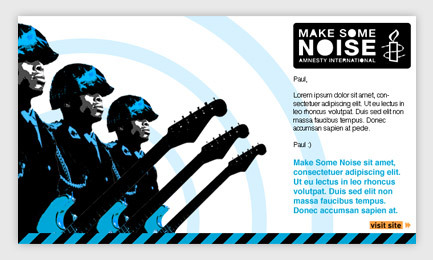 The site was specifically designed with accessibility standards in mind, and with a style that stayed bold and wild to fully express the attitude of the campaign.